Craving for something to munch on? Why not order something delicious yet healthy? Manage your hunger pangs in between the meals with a bowl of fresh fruits delivered to your doorstep. The cut fruits delivery Singapore is an initiative to promote healthy living and nutritious eating habits. Many times you find yourself and even your colleagues or friends munching on quick snacks, junk food, or packaged products. Such products may eventually seem to address the urge to eat but do more harm than good in the long run adding unnecessary calories and emotional stress. Fast foods often have higher levels of salt, sugar, and fat that creates an imbalance in the blood sugar levels. The fluctuating blood sugar levels lead to mood swings, poor concentration, fatigue, and even serious health issues like hyperglycemia after a long-term consumption of junk foods. While there is no harm in occasionally grabbing a burger or your favorite potato chips, you should consider more nutritious options to address your daily hunger pangs. What else can serve as a source of wholesome nutrition than a fresh bowl of assorted cut fruits? Many restaurants, offices, food courts, caterers, schools, and community centers are utilizing the services of cut fruits delivery Singapore to serve their customers, employees, and students with a fresh pack of cut fruits. The cut fruit delivery services facilitate a myriad of exotic, tropical, seasonal and non-seasonal fruits to the customers. The cut fruits are available in the form of assorted fruit baskets, cut-fruit platters, packed fruit boxes, fruit hampers, cut fruit buffets and fruit bazar for wholesale purchase. Even the price range starts from $1 for the assorted fruit packs and cut fruit platters. You can get a cut fruit buffet starting from $30. Eating fresh fruits as per your budget and preference has been made easy via cut fruits delivery Singapore. 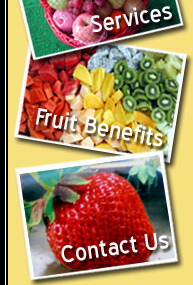 All you need to do is to choose a package and specify the fruits to be included. Your order will be delivered right to your doorstep conveniently and quickly keeping the freshness of the cut fruits. So, next time you start to experience the famous hunger pangs or crave for something to munch on, all you need to do is order a cut fruit platter and enjoy fresh nutritious fruits. You can also order assorted exotic and tropical cut fruits for your company events, seminars, or meetings to give your employees a dose of nutrition. Boost the productivity at your workspace with a pack of assorted fruits. 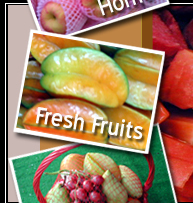 If you are looking for a trusted marketer and distributor of fresh tropical fruits in Singapore, eFreshFruits by Hock Hoe Hin Pte Ltd is a name you can bank upon. They specialize in the import of various tropical fruits such as Mango and Mangosteen from distant lands of Malaysia, China, Vietnam, Thailand, Indonesia, and Taiwan. They have been successfully serving diverse clients including supermarkets, offices, food courts, restaurants, and schools since 1970. When you order from eFreshFruits, you get fresh cut-fruits in the finest quality. So place your order today to embrace a healthy lifestyle with cut fruits delivery Singapore.